Most of the toddlers fall sick often in the first few months of going to a daycare. And it is not surprising as daycare centres end up being the places where children come in contact with one other, and swap infections. 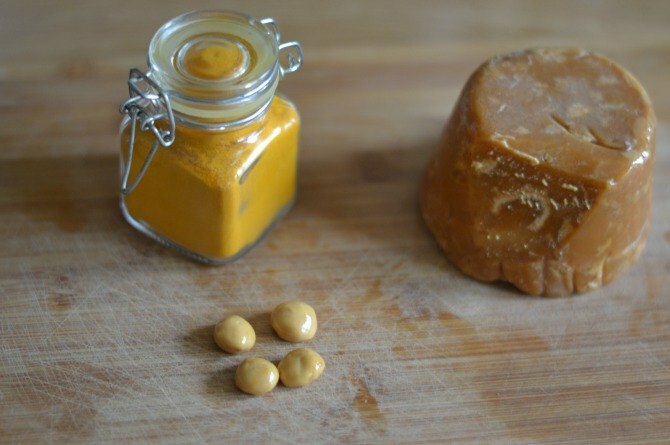 Daycare sickness is a cause of concern for most of the parents and so, I want to share a traditional remedy my grandmother's secret remedy. She shared it with me when my child started going to a daycare and one day, had a bad case of daycare sickness. The common cold is one of the most common infections that is passed around in daycare centres. Most of the times, it is not serious, so parents end up sending the sick kids to the daycare. And as there is no fever, daycares also allow these kids to spend the days there. However, only a parent knows how distressing it is to rock a child with a blocked nose to sleep. Daycare sickness is not bad for your child though. Research indicates that children who get sick at daycare early on end up having a better immunity later. However, it is not necessary for your child to fall sick to get the immunity. Because sickness is just a response to the infection. Your child can acquire immunity without falling terribly sick if you can control the manifestation of the illness. And this is where the traditional remedy comes handy. As it is made of everyday ingredients, your child will be more receptive towards it. And, unlike the cough medicine, your child will not feel drowsy. That said, if there is fever, see your doctor. The remedy is so simple that even you will be amazed! 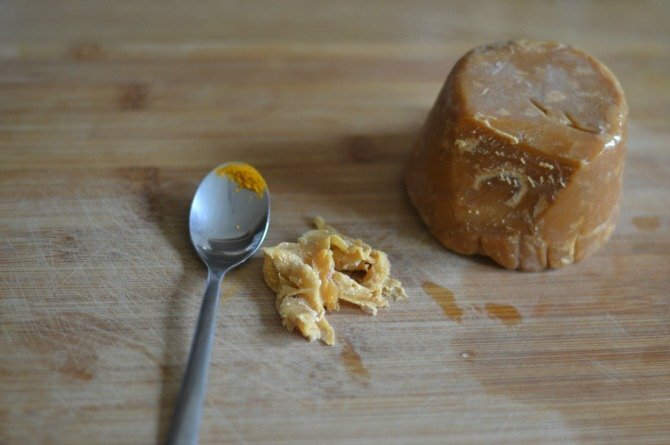 It requires just two things: turmeric powder and jaggery. And because of the sweet taste, your child will end up enjoying it as well! 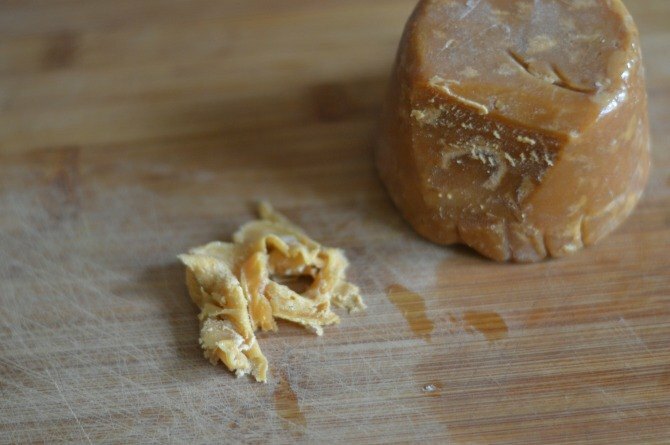 Shave about 8 grammes (~2 teaspoons) of jaggery. The idea is to make it soft so that it can be rolled up into a small ball. Add a small pinch of turmeric powder to it (about 1/2 gramme). Mix well and roll it into a small pill. If your child is younger, you can roll it into 2-3 pills. Give a pill to your child in the morning and one at dinnertime. You can give it before he has his food. The turmeric has medicinal properties that will ease the congested nose overnight. And in 2 to 3 days, you will see a noticeable reduction in the cold. If you are unable to procure jaggery, don't worry. Just mix the turmeric in a spoonful of pasteurised honey. BE CAUTIOUS THOUGH. Honey is NOT MEANT for infants. So don't give your child any honey if he is less than a year old. This is a traditional remedy. As these ingredients are store bought and not quality tested in a lab, avoid using them for children less than a year old. Even with the older children, look out for signs of allergy - if there are any, stop giving this immediately and consult your doctor. Falling ill depends on the constitution of your child. That said, there are things you can do as a parent that can help your child fall sick less often. Let him play outside. Exposure to dirt and fresh air builds up your child's immunity. So let him play outside for as much as he wants. Limit the hand sanitiser. Hand sanitiser is effective in killing 99% of the bacteria on your child's hands. Unfortunately, it also kills the good bacteria on the skin, making the child vulnerable to sicknesses. A simple hand wash after an outdoor play does the trick. So limit the use of hand sanitiser. Good food rich in proteins. A healthy breakfast that contains proteins is going to boost your child's immunity. So don't forget to include some sort of protein in each meal. Good sources of proteins for vegetarians are pulses and legumes, broccoli, lentils, tofu, paneer, soy to name a few. Eggs and meat are good sources of protein for non-vegetarians. If you can, use fresh meat instead of processed or cured meats. Don't forget the dairy products! Immunise. The flu shots being offered will reduce the intensity of flu in your child. So don't forget to immunise your child with a flu vaccine. Mums and dads, your child is building up his immunity, and so, keep on sending him to the daycare even if it means an increased chance of infection. There are many merits of sending him to one. Studies have shown that children who go to daycare end up becoming more skilled than ones who stay at home. So this is something he will thank you as he grows up. But for now, I hope my grandma's secret remedy works for you!